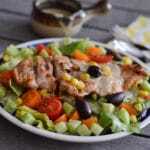 Tender grilled chicken with colorful salad and tossed with creamy kiwi and tahini dressing. I haven’t posted a salad recipe in what feels like ages ago. 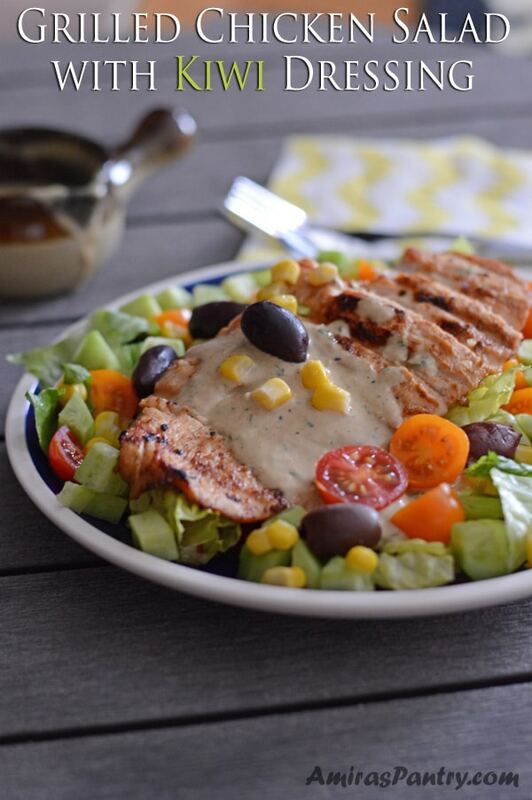 Grilled chicken salad has always been my favorite, especially the Southwest. I’ve got used to it and I needed a change, the change was in the dressing/marinade. One thing I love about this salad is the dressing that I kep licking while photographing these pictures. One thing that I hated is the waiting until I finish the photos, this was seriously delicious. The dressing started as a cilantro and tahini combo, I could have just stopped there but I spotted kiwis on the countertop so I decided to venture and give the dressing a fruity kick. It was worth it, let me tell you, it provided some sweetness, tartness and fruitiness that was highly desirable. And now for a few words about this salad. 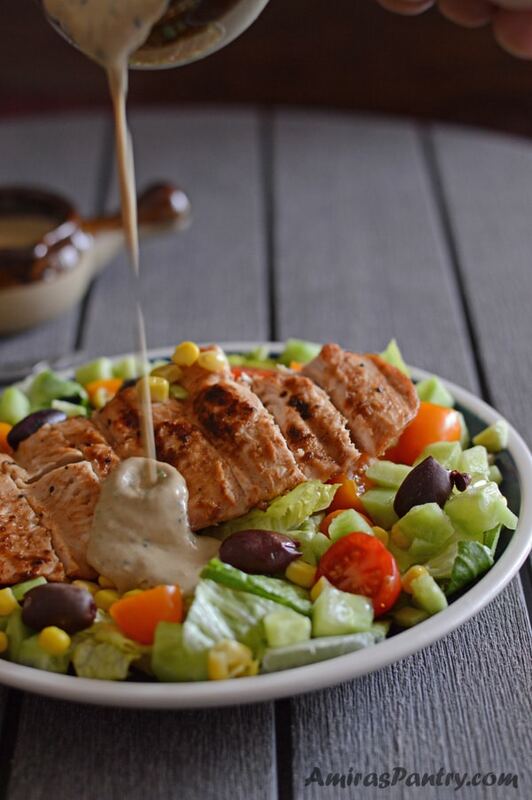 This marinade and dressing will give your salad a hint of fruity sweetness,How do you feel about fruit in salad? 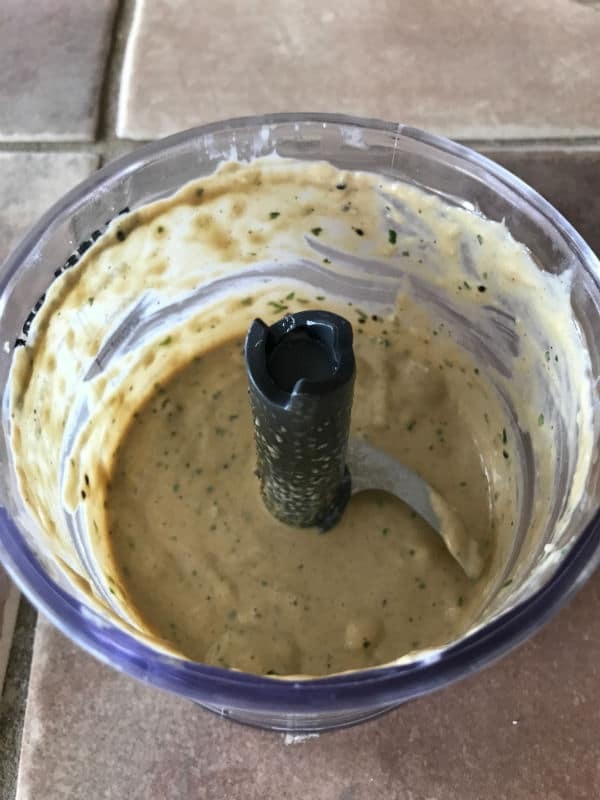 I feel real yum yum about it.The dressing will have a little sandy texture due to the use of kiwi, if you doubt that you will like that you might want to consider removing part of the black seeds off before pulsing the dressing ingredients. This has been my favorite dressing so far, it was super delicious. Let’s dive into some details here. Mix the marinade ingredients in the food processor and pulse until smooth. Add the chicken and let it set for 15-30 minutes. Then grill or bake in the oven. 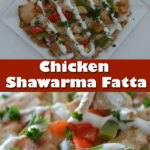 Mix the dressing ingredients until smooth and creamy, if you feel it is too thick you might want to add few drops of lime juice or even a little bit of water. Pile everything together and toss with the dressing, serve immediately with more dressing on the side. Sometimes, it is hard to find time to marinate your meat before grilling, and at this point kiwi comes very handy. Kiwi have an incredible power to tenderize meat in a matter of minutes. But kiwi needs to be used carefully and do not go overboard with it. It is recommended to use 1/2 kiwi for like 5 pounds of meat. My kiwis were on the petite side, or I felt so. Hence I’ve used a whole 1/2 for my 3 lbs chicken. If you use too much kiwi, you’ll probably end up with a mushy, slimy chicken that will not please anyone. 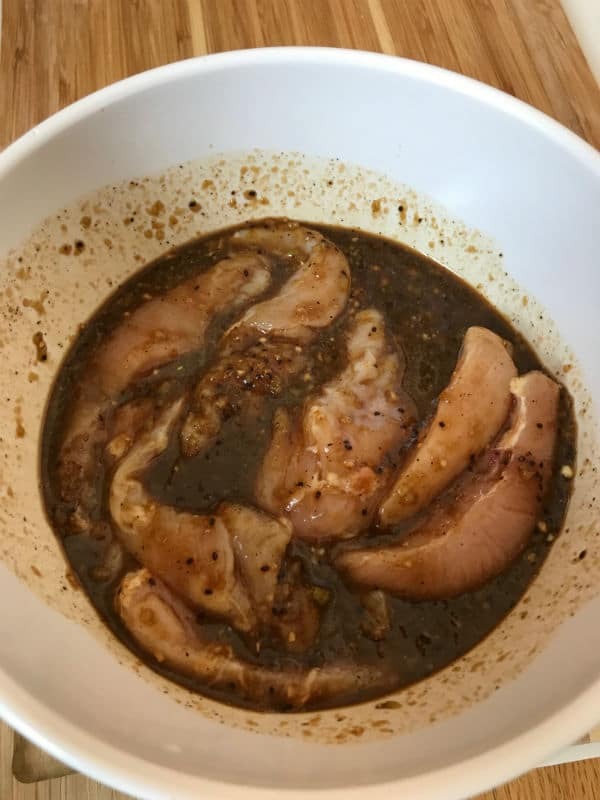 If you are afraid or just to be safe, try rubbing each side of the chicken with kiwi then place it in the rest of the marinade.Some people also wash and pat dry their meat before grilling, which I do not recommend. 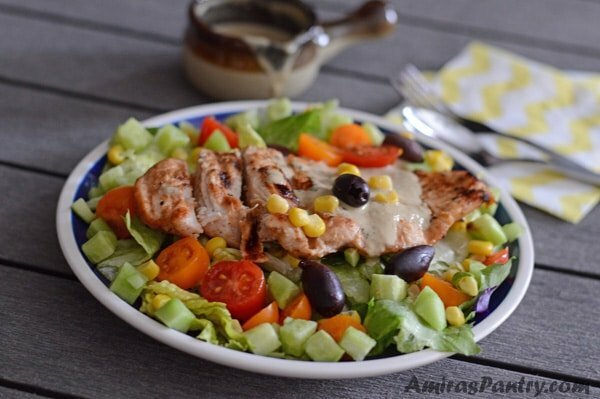 Chicken salad with kiwi and tahini dressing. 1/4 -1/2 Kiwis , peeled and diced. 2 garlic cloves , crushed. 1/2 Kiwi , peeled and diced. 1 garlic clove , crushed. 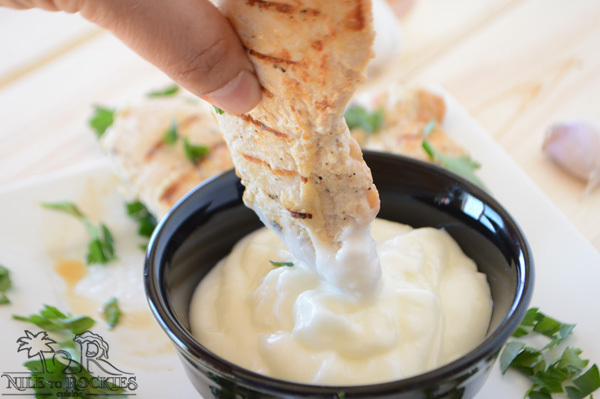 2 Tablespoons sour cream or yogurt. 1/4 cup cilantro , chopped. 1 can corn kernels , drained and no salt added. 1 cup cucumber , diced. 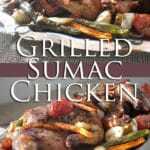 In your food processor, add all the marinade ingredients and pulse a couple of times until mixed well. 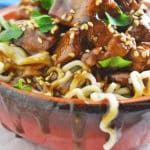 In a deep bowl, combine chicken and marination and let it set for 30 minutes. 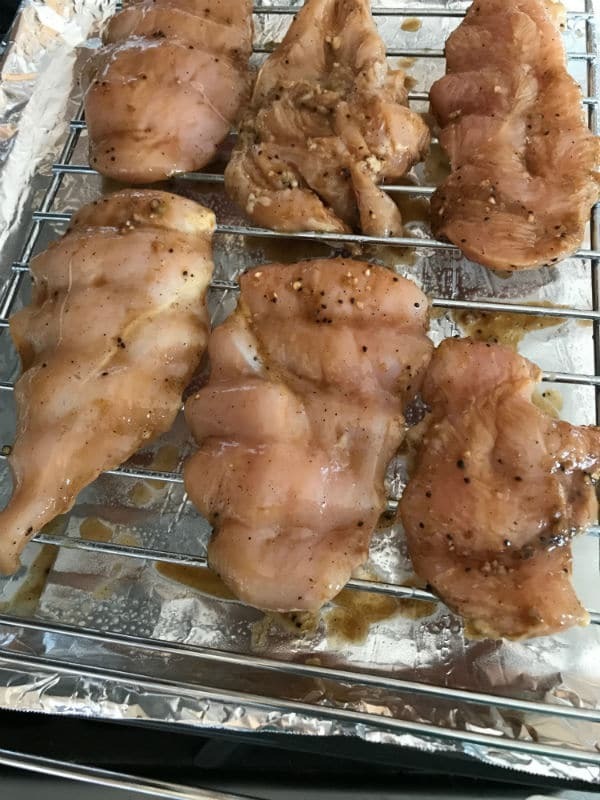 Grill the chicken or bake in the oven. Meanwhile prepare the dressing by pulsing everything together well in the food processor. Pile all the salad ingredient in a serving plate with chicken on the side and the kiwi dressing. 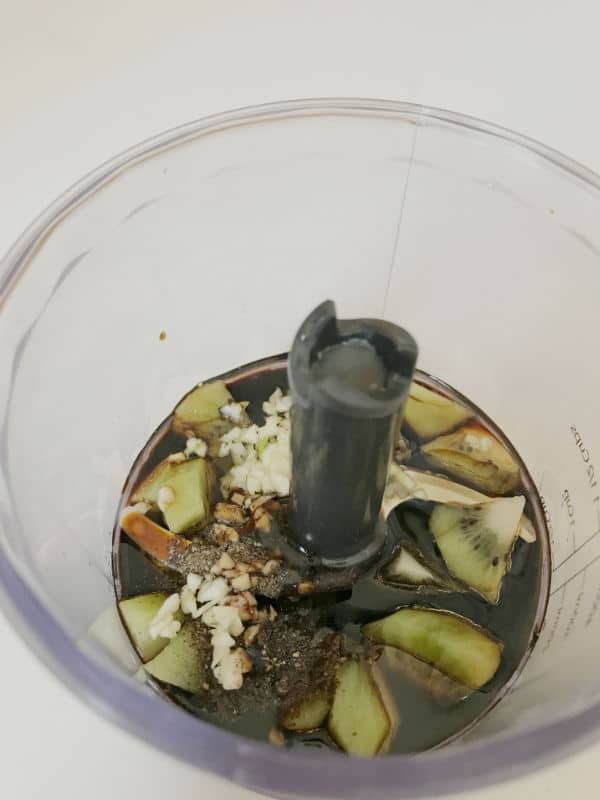 * The recommended is 1/2 kiwi for every 3-4 pounds, the fruit that I had was fairly small so I added 1/2 a kiwi to my 2.5lb chicken. Love salads like this at this time of the year. 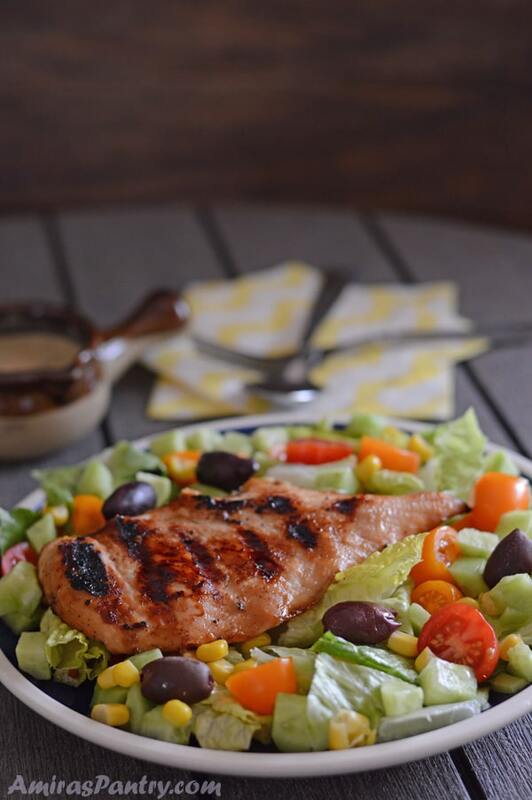 Great way to use grilled chicken. 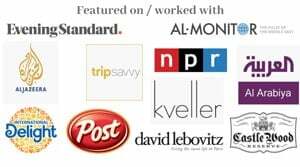 This is so full of flavor — thanks. John, this is full of flavors indeed. I hope you’ll try it this summer. Thanks. That is brilliant and yes you would have had me at cilantro and tahini…but adding kiwi is a great idea! 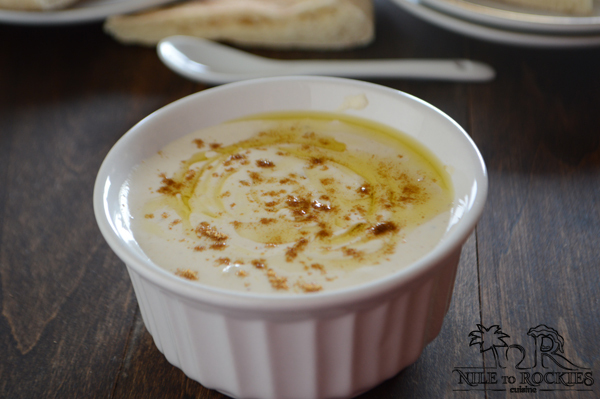 Gives the nice sour taste a vinaigrette sould have and great at tenderzing too. Yes, never knew that kiwis are so tenderizing. Try it and tell me what do you think.